One of the most anticipated wine producer visit tastings at our just completed Pour Boys 2017 Napa Wine Experience was a visit to the Chateau of Lewis Cellars. I've often written in these pages about the fun we have with this branding, with its signature 'L' on the label, ala Laverne and Shirley, or wife Linda, or her mother Lucy, or our daughter Erin Leigh, or her daughter, our first grandchild/daughter Lucy! 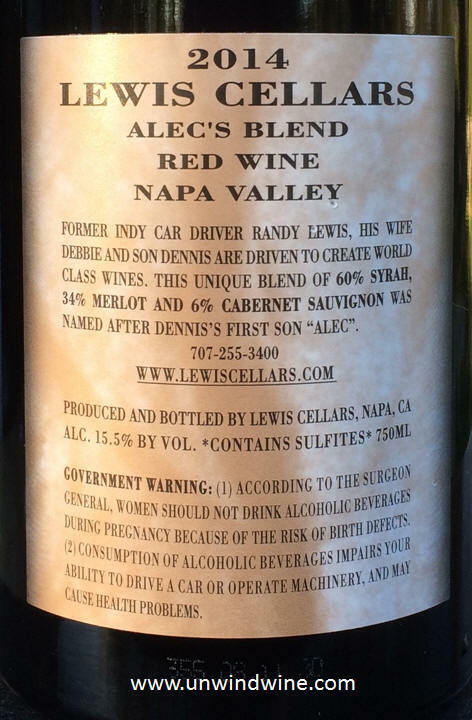 That coupled with the Hoosier heritage of Randy Lewis, Indy 500 race driver from our native Indiana, and, their affinity to family, naming labels after their grandkids - Alec, Ethan and Mason, we adopted Alec's Blend as a signature label for son Alec and feature it at family celebrations. 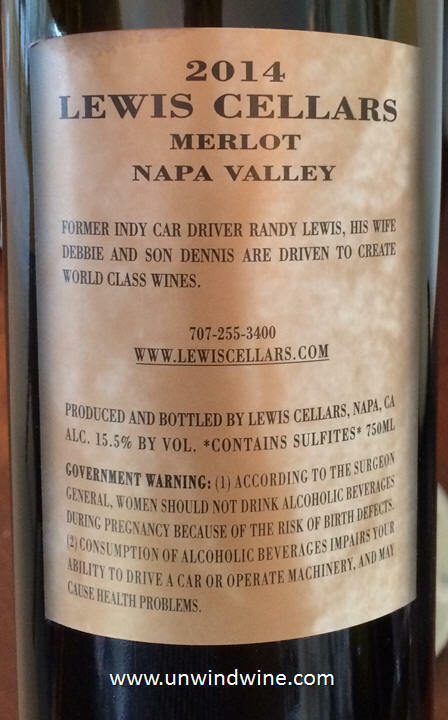 Lewis wines are family favorites for such special occasions, punctuated by this namesake Blend for son Alec. Lewis Cabernets are some of our favorites and we have a decade long vertical of Alec's as well as their Cabernets, dating back to this '97. 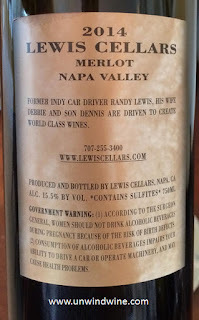 This blend is dedicated to Randy and Debbie Lewis' first grandson, Alec, who was born on the day of the harvest of the grapes for this wine leading to the name. I learned at our tasting that this is the inaugural vintage of this label/blend of which we still hold two bottles, and every vintage bottle since. When I mentioned at our tasting that we still hold a couple bottles of the 1997 Alec's Blend, I was told to 'drink up', but based on recent tastings, I am not in a hurry, they still have some time left! 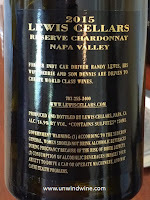 At the time of the writing of this blogpost, the blog search shows twelve postings of Lewis wines (Lewis Cellars (12)). Scrolling through those tastings are posts tied to many memorable family and friend wine tastings and dinners. 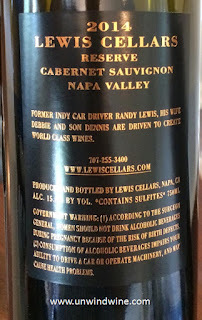 Tuesday, April 4, 2017 - Lewis Alec's Blend 1997 - Lewis Cellars Napa Valley Alec's Blend 1997 - Son Alec's Signature Namesake Label selection for his birthday eve dinner. Thursday, November 28, 2013 - Thanksgiving Celebration Dinner - A wine-tasting adventure diverts from usual fare. Saturday, May 5, 2012 - Graduation celebration wine tasting flight featuring 1990 vintage birthyear wines. Gala celebration of son Alec and his roommates' graduation from Indiana U, Kelly School of Business, featuring specially selected wine flight of namesake or other memorable wines saved for the occasion. 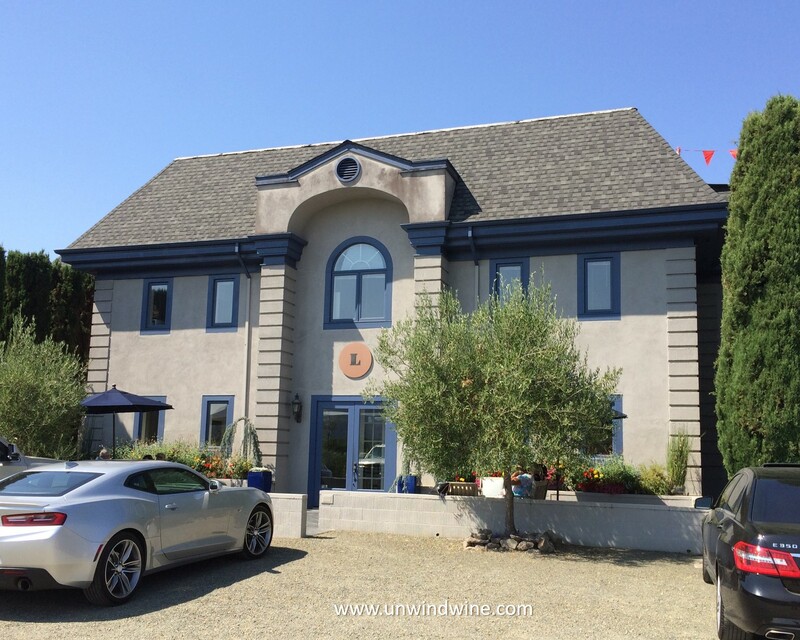 So it was that we have some experience with Lewis wines going back two decades, we thought we knew their wines and history. 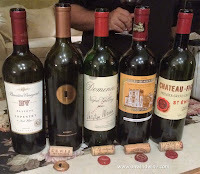 Never-the-less, we learned a great deal at the Chateau tasting and the connections and earlier experiences are even more numerous. 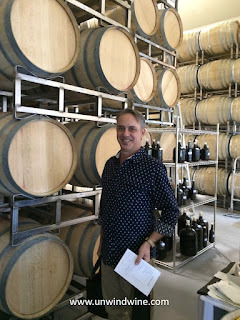 We learned from our host David Gibson (shown left preparing our order) at the wine tasting that our paths have crossed Randy Lewis' at several times during our 'wine' adventures and careers. From 1989-93 we learned Randy was associated with Oakville Ranch wine. 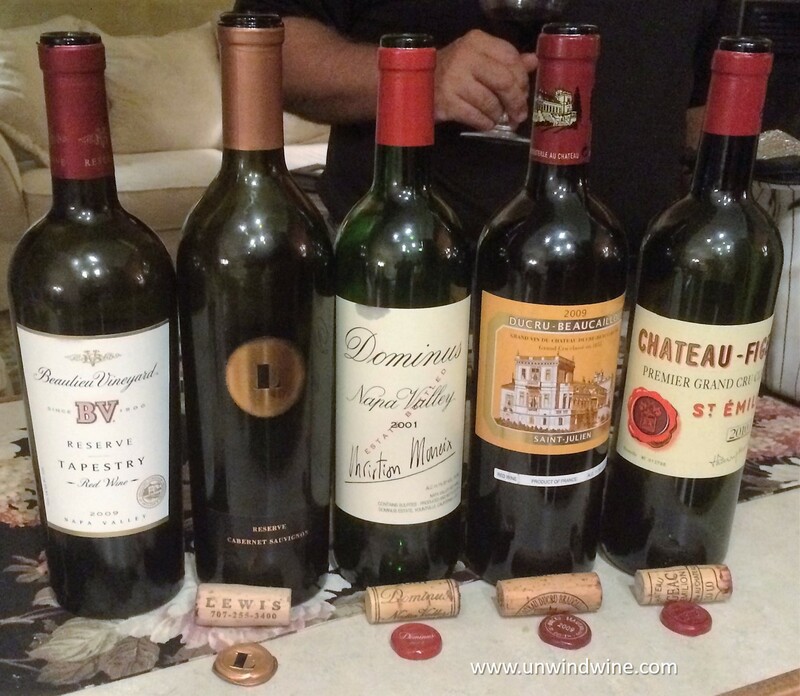 We collected and tasted that label and still hold several vintages dating back to that era. 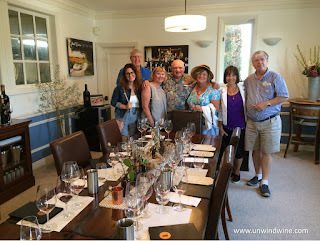 We learned Joe Cafaro was the early winemaker sourcing fruits and producing wines from up on Prithcard Hill in 92 and 93 leading up to the Lewis 'launch' in '94. We hold many wines from this area during that time and probably hold some that contain the same fruit sources as those early pre-Lewis vintage labels. We learned Helen Turley was winemaker in '94. Once again we hold many Helen Turley wines from the last three decades dating back to those days. 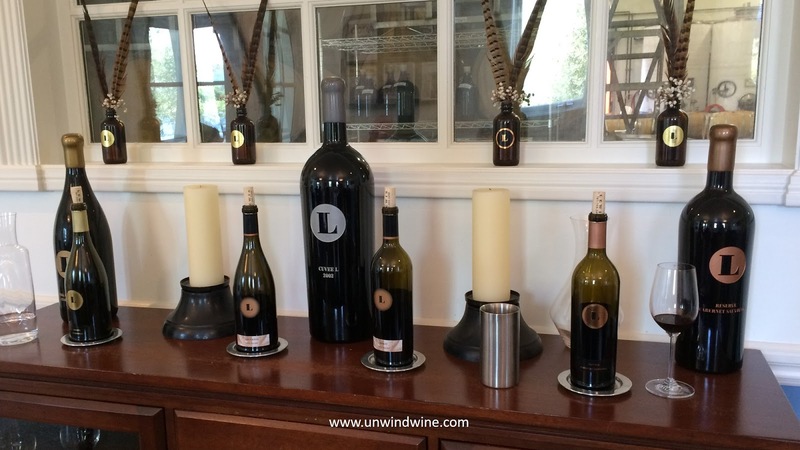 So it is that we have strong affinity for and affection for Lewis wines. Randy was a professional race car driver for 23 years. In addition to driving Formula Three in Europe, where he fell in love with local wines and lifestyles, Randy returned to the States to compete in Formula 5000, Can Am, and finally Indy Cars from 1983 to 1991. He ran in five Indy 500's where he qualified on the 4th row three times with a best finish of 13th. His Indy career came to an end during a horrific crash in 1991. As Hoosiers with a lifelong Indy connection, we've followed every Indy race for the last five decades. After that incident, Randy set up his alternative career in wine making, having always been Randy's second love after racing, and he feels fortunate to be making a living doing what he loves. While Lewis don't own their own vineyards, they have long term contracts with many grower sources, some for terms as long as thirty years. We collect and drink some other wines similarly situated such as Freemark Abbey and their long term affiliation with the Bosche' vineyard, soure for their vineyard designated select Cabernet which we own going back to the '92 vintage. 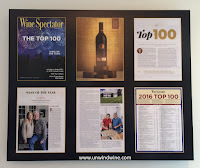 Obviously, whatever they are doing are working, witnessed by their 2013 Napa Valley Cabernet Sauvignon was selected Top #1 Wine of the Year by Wine Spectator Magazine for 2016. 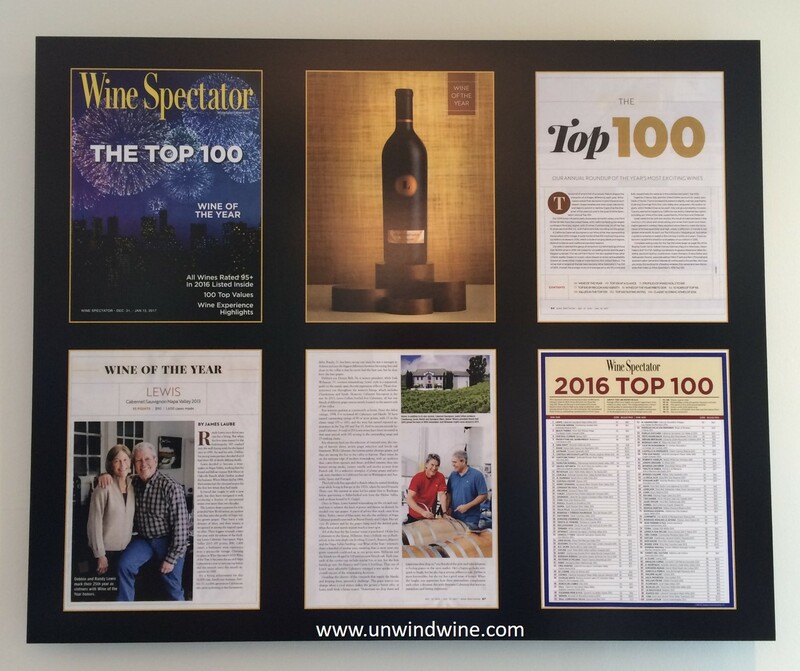 That vintage also received a 100 point Robert Parker rating, the first wine to accomplish both accolades in the same year. My reaction to this was mixed ... it was strong affirmation of one of my favorite wines, but it also meant that wine would be harder to obtain due to stronger demand, and command higher prices in the marketplace from that point forward. 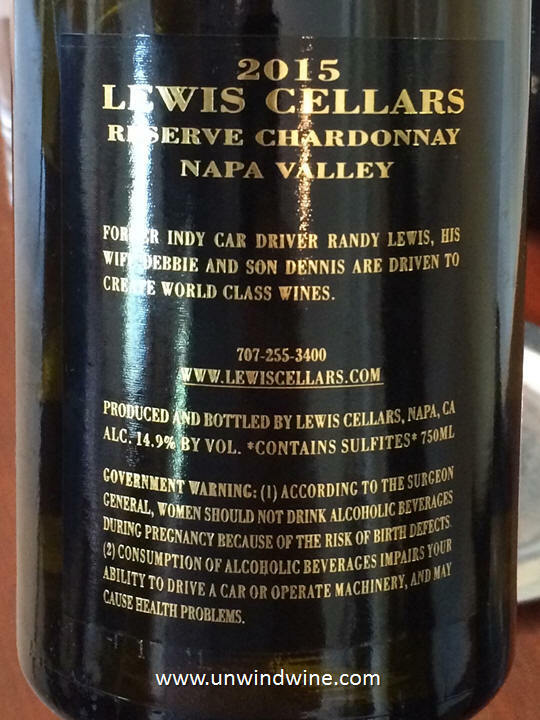 Lewis source the finest fruit from Calistoga, St. Helena, Rutherford and Oak Knoll for our their varietals. Chardonnay comes from Oak Knoll and Russian River Valley. Each site was selected for a specific varietal character, with many of the vineyards being planted exclusively for them. They choose low vigor rootstocks and clone selections that give balanced vines and modest yields, producing maximum flavors. 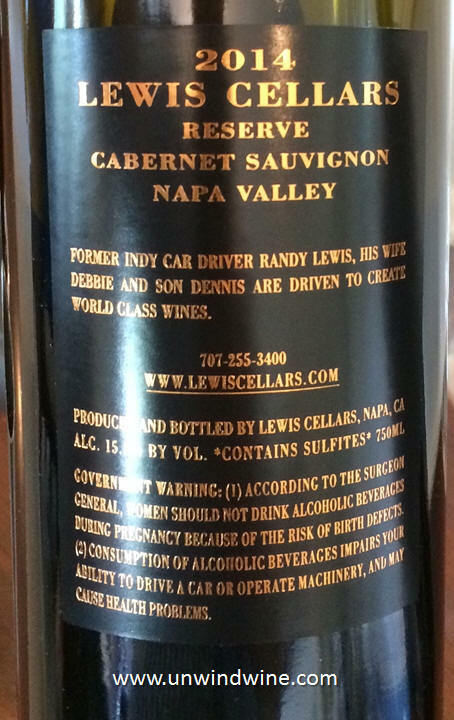 Today, Lewis' winemaker is Josh Widaman who holds a B.S. in Viticulture & Enology from UC Davis. Josh brings 15 years of winemaking experience to Lewis, coming from Pahlmeyer, and previous experience of 4 years as assistant winemaker at Chimney Rock Winery and multiple roles at Stags' Leap Winery, Gloria Ferrer, and Viña Tarapaca in Chile. 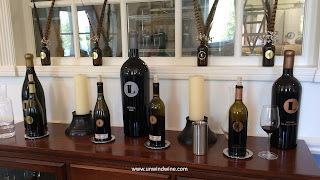 The last Napa wine trip we did, Lewis had not opened their Chateau tasting room, so this was our first experience to visit, meet and taste Lewis Cellars. The winemaker notes say; "Neil Young's "Cinnamon Girl" best captures the character of our rocking 2015 Reserve Chardonnay. Ripe succulent D'Anjou pear, gardenia blossom, sweet mineral spice and toasty brioche aromas come singing through. Broad shouldered with creamy textured leesy flavors, the wine reaches great depth while maintaining precision and serious structure." Butter colored, medium full bodied, very pleasant bright vibrant crisp notes of citrus laced pear with notes of floral, soft sweet oak and hints of lychee fruits. We already own this wine and hold more than a dozen vintages so we know this label well. This is a unique label - a blend of Syrah and Bordeaux varietals, a rare combination and style that we like very much. Winemaker notes: With one year of college completed, (Their Alec is a seven years junior to our Alec.) Alec's wine is both boy and man in this boundary-pushing blend of Syrah 50%, Merlot 34% and Cabernet 6%. Asserting his independence through explosively ripe blackberry and huckleberry fruits, there's also kirsch-like cherry cola, spicy oak, supple tannin and a trace of s'mores that closer to home. Tremendously youthful and seriously good fund, Alec's Blend remains a kid at heart. Dark inky garnet colored, full bodied, concentrated black and blue fruits with notes of cola, spicy oak, hints of caramel and mocha on the chewy tannin finish. Winemaker notes: "In his '56 recording of "Blueberry Hill", Fats Domino could have been singing about our 2014 Merlot - a a dream girl of perfumey fruits and cedary-oak spices. Fleshy, polished and ripe with plenty of youthful drive the wine is beautifully balanced, finishing with long supple legs. This was dark garnet colored, full bodied, nicely balanced full black raspberry fruits with notes of sweet spicy oak, hints of mocha and cedar on a long smooth silky tannin finish. Winemaker notes: "The best qualities from our past two vintages come together like yin and yang in our singular 2014 Reserve Cabernet. Radiant color and souring aromas of ripe blackberry, toasty oak spices, black truffle and cappucino make an expressive entree. Fleshy and supply at first, the wine expands into deeper, more concentrated fruit layers wiht chocolaty, fine grained tannins. Dark inky purple color, full bodied, rich concentrated complex black raspberry and blackberry fruits accented by notes of spice, sweet oak, expresso and hints of cedar on the long silky smooth tannin laced finish.